“She in laybah soon! Get da truck,” Mama commanded Papu, who responded with what for him was uncommon haste. The crowd gasped, but remained impotently tethered to its seat except for the comforting friend. Together, she and Mama led Harriet to the truck, arms weaved under her shoulders and around her back. “I call da docta, tell him you on da way,” insisted the friend. Mama held her daughter’s face in her hand while Papu jerked the truck out onto the street toward the Women’s Center in town. “You okay honey child? Here, you breed, li’dis.” She emphatically sucked air in through her nose and forced it from her mouth, as they had practiced before. “I stay okay, doan worry. I juss going breed. I can relax.” Harriet recovered somewhat from the surprise and did as Mama did. Inches apart, the two identical faces breathed in unison while Papu ripped down Farrington to the H-1. Harriet lost herself in her own breath and turned from her mother, resting her head on the window. The vibrations tickled her nose. Rubbing it vigorously, she was reminded when she was a keiki herself, trying to sleep against the truck window as her father drove her and Mama back from going holoholo with ohana on the North Shore for a long weekend. Far away now, she watched the flat, weathered houses, separated from the highway by a high chain link fence, as the truck passed them by, a parade of iridescent cockroaches changing color in the sunlight. She wanted to say something to her mother, something that was right. She thought nothing she could say was right. “Papu wen buy me dat white dress,” she secretly exhaled in Mama’s ear. Papu didn’t seem to hear over the grumbling of the old engine. “I tell him I change my mind, so he wen get his cousin help him fo return um.” Mama shook her head slowly and gave an exaggerated look of approval, as if the explanation stood alone. She was curious to know if something had happened between the two, or if Harriet truly had a change of heart regarding the heirloom. She decided not to ask. “You know why I wear um?” Harriet finally asked her mother. She pet the yellow skirt like she was caressing a living thing. Harriet gave an honest smile, but with difficulty. Her cheeks were flushed and Mama felt the stickiness on her back, the sweat soaking through the yellow skirt. She tried lifting the thick tangle of hair from her daughter’s skin to cool her, to make her comfortable while she could. “Feel bettah?” asked Mama, a note of optimism decorating her tone. Harriet didn’t speak. She only panted heavily, her eyelids drooping. By the time they reached Punahou Street, she had stopped breathing. By the time they reached the the center’s porte-cochère, her skin was the color of algae. Leaving the engine running, Papu leapt from the truck and darted through the automatic doors to find anyone that would help. Luckily, he had no trouble; the doctor and his team were prepared with a gurney waiting at the front desk. Papu said nothing to the nurse, he simply pulled him out to the truck. When the nurse saw Harriet he panicked and looked to Mama for some kind of explanation. Mama found, however, that her mind was empty, as if she had not only spontaneously forgotten what had happened that day but also the elements of language. Harriet was yanked from the car and tumbled onto the rolling bed, a sickly streak of black through brown and green, yellow splattered with red. Like a chrome luge, the bed whooshed through the halls, behind a set of double-doors beyond which Mama and Papu weren’t permitted. Mama watched as something glinted in the hand of one of the nurses, who, with one precise stroke, sliced the yellow skirt from Harriet’s chest down to her knees; her breasts fell heavily to her sides like lumps of mashed taro. Spots of dark blood stained her skin. Another nurse grasped a curtain hanging near the wall and jerked it along its ceiling track, severing the visual connection between mother and daughter. Mama could only make out the shadows of the figures against the wall behind the barrier, awkwardly dancing about like a troop of puppets in a children’s show. The waiting room was deserted, perhaps because it was meant for the families of people undergoing traumatic surgery; fortunately, there were few of those. It was decorated with abstract pastels—seafoam green, electric pink, robin’s egg blue. While leading Mama through the room, Papu accidentally upset a vase of plastic orchids, which he didn’t bother to upright. He placed her in a chair in the corner, with another chair under her feet to help her relax while waiting to hear news about Harriet. The television garbled at an ambivalent volume that Mama found irritating—loud enough know it was on, but quiet enough so as not to be understood. It was one of the local channels, playing the televised gathering of the Hawaii Council of Filipino Ministries. A short, dark man dressed like a waiter, with a slick black ponytail and marked gravitas approached the podium and delivered an impressive rendition of “The Star Spangled Banner.” He stepped down and the MC, who looked like a cheerful Imelda Marcos, wiggled the microphone with her manly finger and began mouthing an introduction for the next speaker. The televised event seemed to have no end. Mama would rest her eyes for a few seconds and when she reopened them, she thought she had already watched the segment that was playing. 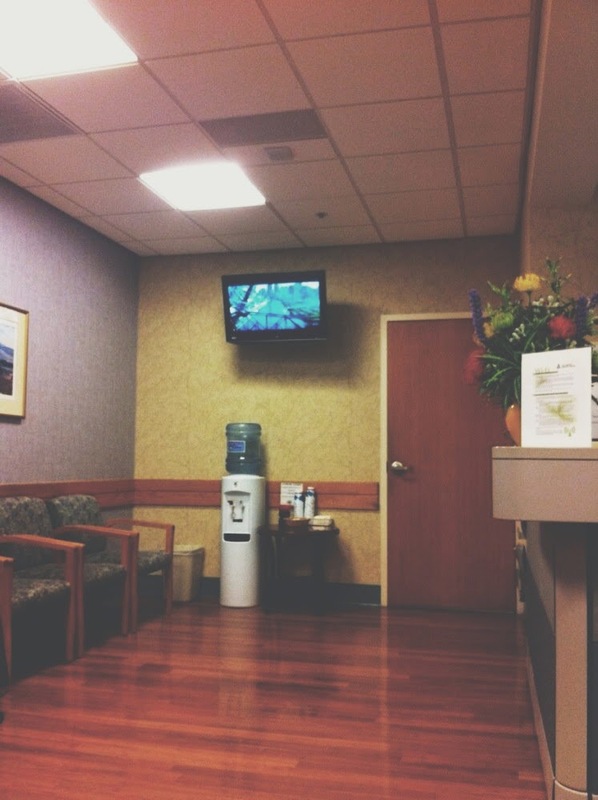 In the waiting room, she lost her sense of time. It seemed to her that they had been at the hospital overnight, or maybe for two nights, while the ceremony which had only happened that morning happened long, long ago. She tried to account for the discrepancy in the passage of time and found that she couldn’t. She began to believe that the life she was living was not her true life. It was as if she was watching herself from afar and shaking her head “too bad” at the troubles of her first self. She felt that any time she wanted, she might get in her truck and drive to her house folded safely in the arms of the pali, overlooking town. Harriet would be waiting for her there with her arms extended, ready to be picked up and fed, ready to play, ready to be sent to bed when her favorite shows were finished. Her husband would have just arrived from work, and dinner would be ready. Time didn’t matter. Mama had always already believed this, and would always already be on the way to her home on the hill. Mama’s chest heaved when she awoke, her fist against her temple, her neck stiff. The doctor stood at a respectful distance, although the fluorescent overhead lights darkened his features so that she rubbed her eyes, unable to identify him. His scrubs were remarkably clean for having been in the room she remembered from earlier, the room with the curtain; she wondered if things perhaps hadn’t gone so badly after all. “And Harriet?” Mama heard herself ask. Mama and Papu were led to the room that kept Harriet and her premature daughter. The doctor instructed Papu to wait outside until Mama was ready to let him go in. He agreed and propped himself against the wall across from the room, his hands in the pockets of his board shorts, his knee extended casually like an old-time paniolo preparing to smoke a cigarette. Mama entered, and let the glass door close behind her before opening the privacy curtain, which she fastidiously readjusted before turning to face the room. There her daughter lay, hollow and sleeping, rigged to a monitor that measured the ebb and flow of her life. Harriet looked foreign to her, as if she were someone else’s daughter from another island or another country. She slowly approached the bed and rested her damp palms on the rail, her rings tintinnabulating like a signal to the wandering ghost to come home. Surveying the suspended body, she wondered if her mother had had a similar feeling as she stood over her fifteen years ago, comatose from the trauma of delivery. A flicker of a thought wondered if it was worth it. She instinctively cut her eyes to her granddaughter’s incubator and dismissed the doubt. She thought, This is it. This is all there is. She noticed a paper bag in the corner and inspected its contents. Inside were Harriet’s things, including the yellow skirt which was unwashed but had been folded neatly. There were stains on it that left the fabric stiff in places, and it had an acrid scent of something like old sweat and wood ash. She remembered how it had been defaced and imagined that was a fitting end for it, since it seemed that it hadn’t done what she believed it could do; perhaps it was, after all, just a skirt. Still, she didn’t put it back in the bag; she gripped it under her arm as she paced the small room, stopping at the window to adjust the blinds. As it rushed in, the sunlight caught the room on fire, softening the pure white void of the cell, lending it something elemental, beyond human. Mama observed that Harriet’s color improved, or so it seemed to her. Meanwhile, the keiki fanned its yellow limbs in the incubator tray like a little bird pinned to an ornithologist’s specimen board—all skin wrapped around hollow bones. She was naked except for an oversized diaper and a gauze skullcap. Her wrists, feet, and face were connected to the incubator with varicolored tubes like a living, neo-natal time bomb. Mama shivered to see her; the relative bigness of her diaper gave the impression of grotesque diminution and at a glance it was hard to appraise her substantiality. She stood at a distance for a long time, repulsed by the image before her. She thought nothing and she felt nothing, she merely stared at the newborn as it struggled to acclimate itself to this place, its small corner of the beloved universe. She hadn’t seen Harriet when she had been like this, since she herself had been unconscious during her early recovery, and so this sight was new to her. She never imagined this for her daughter or her granddaughter, or for herself. It seemed that it was against her own will when Mama found herself tiptoeing closer to the incubator until her stomach pressed against the plastic. Slowly, she lowered her thick fingers until they met the fragile, papery skin of her child’s child. The keiki didn’t stir, but Mama sensed something inside its wrinkled body quicken and prick her hand like a static shock. Without removing her touch, she shook the yellow skirt with her other hand so that it unfurled itself, its elegant corners seeming to refuse to graze the profane floor. She neatly bunched the fabric in her arm, and with extreme care, lifted the little bird from its plastic coffin, nestling it in the folds of the skirt, against her breast. In a chair between the incubator and Harriet’s bed, she rested. After the mighty little yelp, Mama’s sensitivity to the other noises in the room heightened. Still heavily sedated, Harriet breathed in and out in long whispers. Her IV plinked, barely audible against the electronic pulse-tones of the heart monitor. The relentless image on the screen spiked and dipped like steep mountains; Mama thought they looked like the furrows in the mountains behind her family’s house. “I wonda when tings going change?” she sighed, pinching her temples with her thumb and forefinger. Following another urge, she stretched her arm towards Harriet and caressed the fleshy part of her daughter’s thumb with the tip of her finger. The beep-beeping of the monitor sounded steadily on. Suddenly, a hurrying cloud seemed to have eclipsed the sun and the room darkened. “I wonda,” Mama repeated to herself, like a mysterious old song she knew the words to without being able to decode its meaning. She took her hand back from Harriet, who lay still except for a small, intermittent spasm in her brow. Before fetching Papu from the hall, Mama kissed her granddaughter as she softly adjusted her spot in the old yellow skirt.